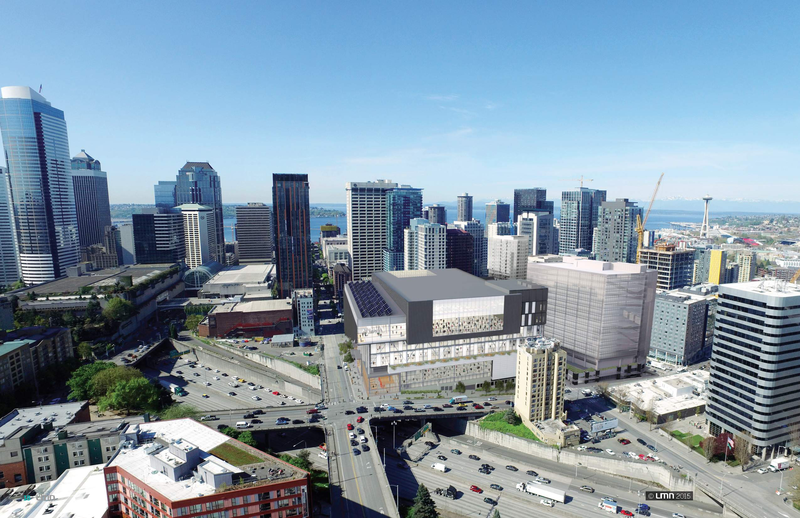 The next phase of the Washington State Convention Center (WSCC) is being planned, and associated with it may be millions of dollars in discretionary public benefit funding. 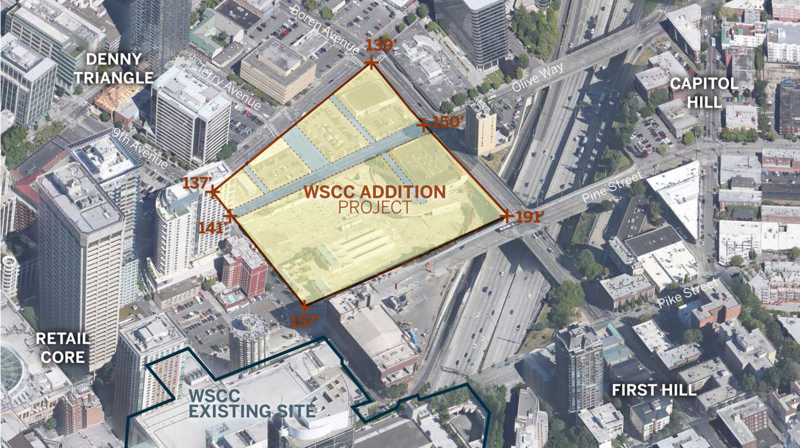 Occupying four city blocks, the WSCC Addition project will transform a long-neglected corner of Downtown Seattle and offer more meeting and event space for locals and visitors. 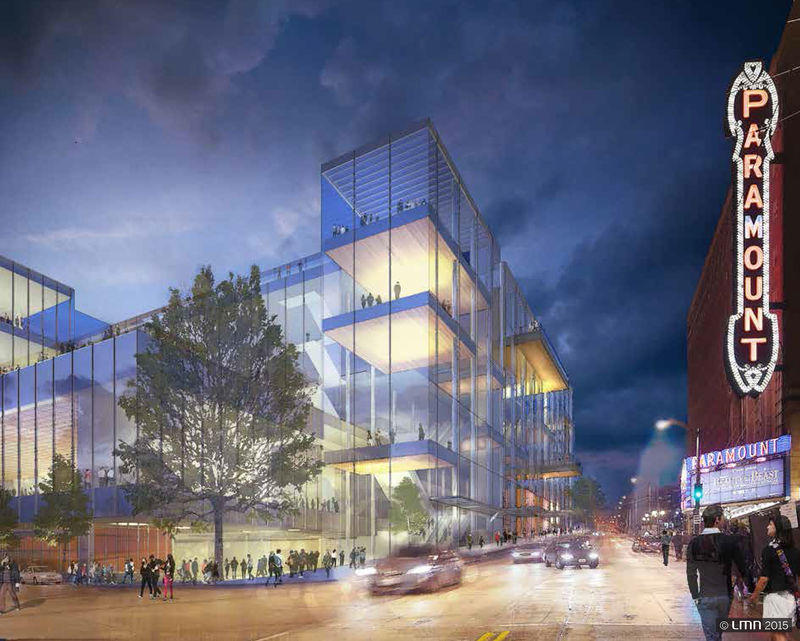 And perched on the edge of Interstate 5, the new facility will further reconnect the urban office core with the nightlife and residential community on Capitol Hill. Ideas for the public benefits offered by the project will be showcased at an open house next week. Event details follow, and below the jump is more history and information about the project. There is also an online version of the open house available. The original WSCC facility was completed in 1988, and stunned the design profession with its precarious position above Interstate 5 in Downtown. The alternative sites, Seattle Center and the stadium district, were deemed too far from hotels and restaurants to be attractive for visitors. The project integrated itself physically and aesthetically with the adjacent Freeway Park, a lid park also built over I-5 a decade earlier. The WSCC underwent a major expansion in 2001 with a mixed-use office, retail, and convention building across Pike Street. The main portion of the project is a 1.5 million square feet convention building set to break ground in 2017 and open by 2020. The project developer is Pine Street Group and the lead architect is LMN Architects, with landscape design led by GGN and engineering overseen by MKA. 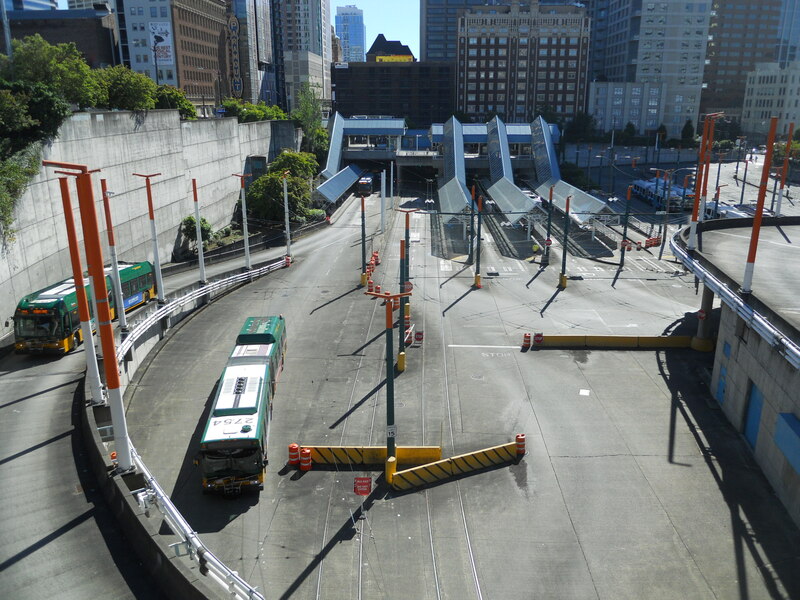 The project site is currently operating as Convention Place Station, a bus layover and passenger facility owned by King County Metro Transit. From a design standpoint, the station’s replacement with any more active use should be a relief to urbanists. The 4 acre site sits approximately between 20 and 50 feet below street level and is essentially an open pit next to residential and office towers. 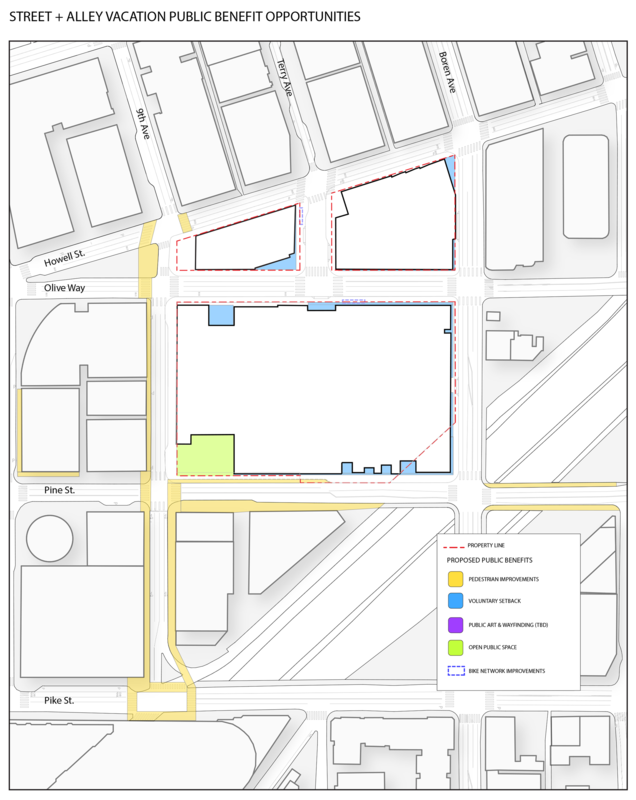 Metro planned to close the facility by 2021 when Northgate Link light rail opens and buses are removed from the adjacent Downtown Seattle Transit Tunnel; the Convention Center sees the site as the last big parcel in Downtown and has moved to acquire it. The sale has yet to close, but according to The Seattle Times a price of $147 million has been negotiated. The Convention Center will also be required to pay $5 million of its own funds on affordable housing in the area. The WSCC already owns multiple smaller parcels nearby, most of which are surface parking lots, and which are intended for private co-development. Assuming all goes well, the bus station’s closure will be moved up by two years. The issue of more buses on surface streets, before light rail replaces some routes, is one of many transportation issues being tackled by the One Center City project. The WSCC Addition’s current design is a radical departure from its existing facilities, and indeed the architecture that defines American convention centers from the late brutalist era. Instead of blank concrete walls and dreary arcades, the new project features a strong street presence with huge curtain walls, small retail spaces, and more considerate pedestrian amenities. The Pike|Pine Urban Neighborhood Council, which advises on redevelopment in the area, successfully pushed many of the design elements which respond more actively to growing foot traffic in the area. However, the building is still massive – at nearly 200 feet in height distributed between only five stories, and on a site that was originally two city blocks, the project will never be anything but imposing. Careful treatment of the facade to reduce the building’s monotony will be essential to ensure it fits into a granular urban environment, particularly with regards to nearby historical properties. More setbacks along the upper stories may help reduce the canyon effect, especially on Pine Street and Olive Way. WSCC proposes co-development consisting of a 400-unit, 29 story apartment building and a 16 story, 500,000 square feet office tower. 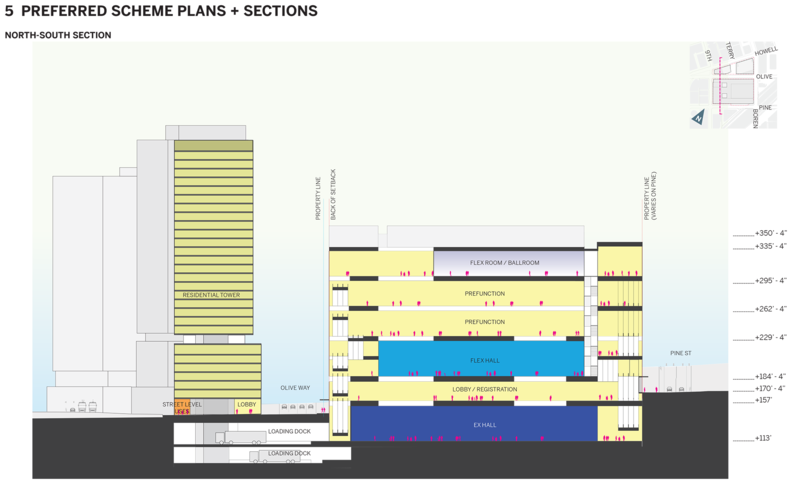 Combined, the three buildings will have 700-800 parking spaces below ground. The large footprint of the project – bound by Howell Street, Boren Avenue, Olive Way, and 9th Avenue – necessitate the WSCC’s request to vacate three city-owned alleyways, which total 7,666 square feet. Today the alleyways are not used in any significant public capacity; one dead ends at I-5 and the two others sit between parking lots. The request also includes subterranean excavations below Olive Way and Terry Avenue for parking and loading purposes, totaling approximately 47,983 square feet of right-of-way. The excavations will necessitate the temporary closure of those streets during construction, which may significantly impact pedestrian mobility and afternoon commuters bound for Interstate 5. The draft environmental impact statement suggested Olive Way be temporarily rerouted on the co-development sites while the main building is constructed. The streets would be rebuilt before the project is complete. The City requires the appraised value of the land be paid as a “vacation fee”. Based on prevailing market rates of $800-1,000 per square foot for land in the area, and giving an estimated 50 percent discount for the subterranean vacations, the vacation fee alone could be in the range of $25-30 million. It is unclear where the vacation fee goes in the City’s budget. Public benefit is required on top of the vacation fee. City Council policy, encoded in Resolution 31142, stipulates that developments asking for street vacations provide a package of public benefit in return. Unlike the vacation fee, the public benefit is not based on a monetary value, but rather a comparison between its adequacy and the scale and impacts of the proposed project on the public realm. The Seattle Design Commission and the Seattle Department of Transportation (SDOT) provides much of the guidance on public benefit package makeups. Indeed, SDOT recently published a comprehensive report (PDF) on what public benefits were gained in exchange for street vacations over the last decade. Preservation of landmark buildings or other community resources. D. Payment of Funds: in certain circumstances where it is not practicable to provide or develop public benefits such as those listed above, the City may accept the payment of in-lieu funds dedicated for a specific purpose consistent with these policies as a public benefit. Such payment must be determined to be an acceptable alternative by the City. Such payment to meet public benefit obligations does not substitute for the payment of the required street vacation fee. 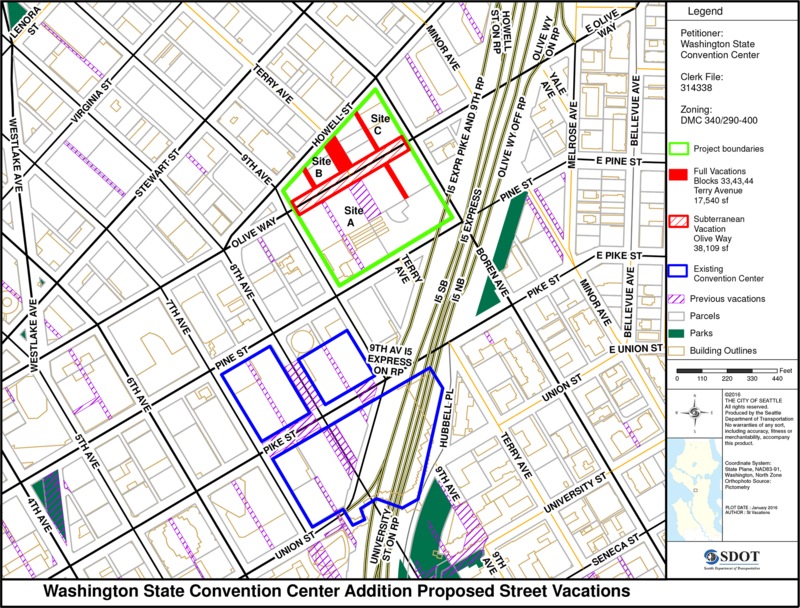 The map above shows the on-site and off-site public benefits initially proposed by the WSCC in its petition for vacations. Considering the scale of the $1.6 billion project, the proposals for some sidewalk and landscape improvements are relatively low key. The voluntary setbacks appear to be less about widening sidewalks than providing alcoves for street-level retail. But notably, some interesting pedestrian enhancements are proposed on the Pine Street overpass. And a plaza at the corner of 9th Avenue and Pine Street will provide a gateway between the Convention Center’s campuses, along with providing gathering space for visitors to the Paramount Theatre across the street. However, recognizing the potential inadequacy of these proposed benefits, SDOT issued a call for proposals to the public last spring. A handful of community groups enthusiastically responded at the opportunity to achieve physical and monetary benefits in surrounding neighborhoods, and SDOT also developed some of its own concepts. Freeway Park Association, stewards of Downtown’s largest public space, wrote: “We intend to leverage the WSCC expansion’s mandated public benefits to mutual gain, and are asking that the following projects to be considered: Visibility improvements to all 10 entrances to Freeway Park; Wayfinding infrastructure throughout the Park and directional signage into the Park; Updated and enhanced lighting throughout the Park.” After submitting its request, the Association secured a $500,000 Neighborhood Street Fund grant to fund many of the same improvements. Melrose Promenade, a vision for converting a freeway frontage street into a pleasant walking and biking street, is seeking investment in “curb bulbs, crosswalks, and signage…public art, pedestrian-oriented lighting, trees and landscaping, and other creatively designed projects that would reflect the spirit of stewardship in our community”. Similar to Freeway Park, after submitting its letter earlier this year the project learned it was awarded $3 million in regional funds for construction. The goal of the event is to gauge where public support is the strongest. Because there is no set floor or cap on the amount of public benefit funding required, there will be a negotiation process between the WSCC, SDOT, the Seattle Design Commission, and City Council. It’s possible that the more support all of the various proposals receive, the more funding that the Convention Center will want to make available; or at the very least, which community ideas to prioritize. This is a rare chance to direct what may be tens of millions of dollars in public funding, and it’s important a wide range of voices are heard. Plan to attend to support what matters most to you, whether that’s lidding I-5 for new public land, improving local parks and streets, or ensuring we have homes affordable to those who make our city work. To learn more about the WSCC Addition, visit the project website. This entry was posted in Land Use, Lid I-5, Megaprojects, Public Participation, Public Space, Transportation and tagged addition, affordable housing, alley, architecture, campaign, Capitol Hill, City Council, City of Seattle, convention center, cost, denny triangle, design, Design Commision, details, event, expansion, First Hill, Freeway Park, funding, funds, GGN, I-5, Interstate 5, lid, lidding, LMN Architects, Melrose Promenade, open house, Pine Street Group, plan, public, public benefits, render, schedule, SDOT, Seattle, section, sidewalk, street, vacation, view, Washington State Convention Center, WSCC. Bookmark the permalink.